[toc]Everyone has to face a blow or bump sometimes that was hard enough to inflict damage on the small blood vessels that exist under the skin. Capillaries are the name given to these blood vessels and blood leaks out of them to soak the surrounding tissues. Most of the time, people will be able to see the trademark color of nearly all kinds of bruises i.e. black and blue. However, gradually a complete palette of different hues can be seen when breaking down of the pooled blood begins. Yellow, green and purple are some of the colors. 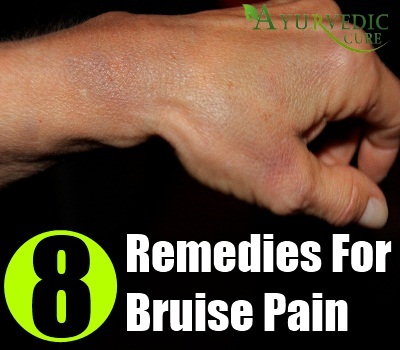 Over time, the bruises will gradually vanish, but faster vanishing can be encouraged along with pain reduction with the use of some simple steps. Ice should be applied immediately. The amount of blood that leaks out and seeps into the tissues will be less because blood vessels surrounding the bruised area will cool down. People can find especially designed flexible ice packs for treating injuries and athletes have the habit of keeping a couple at home in the freezer. Ice cold water can be used to soak a cloth and then applied onto the bruise for 10 minutes if people don’t have the ice pack handy. Frozen vegetables can also be used instead. 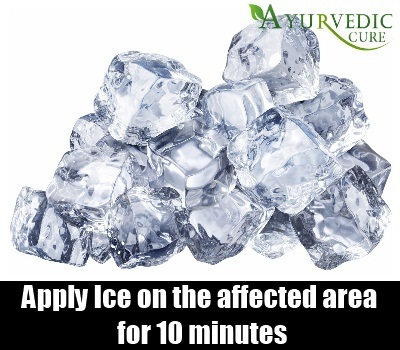 Apply it after every 20 minutes for 10 minutes only because the underneath skin shouldn’t be over-chilled. An elastic bandage should be used to wrap the bruised area immediately if the arm or leg has been injured. The bandage will not allow the blood vessels to leak as it squeezes the tissues. The resulting bruise wouldn’t be very dark or severe. Discoloration can also be minimized by reducing the flow of blood to the bruise. For instance, if a leg is bruised, a break can be taken and the leg can be kept above the heart level on the pillow after settling down on a lounge chair or couch. In case the arm is injured, it also has to be kept above the heart level whenever people sit down. 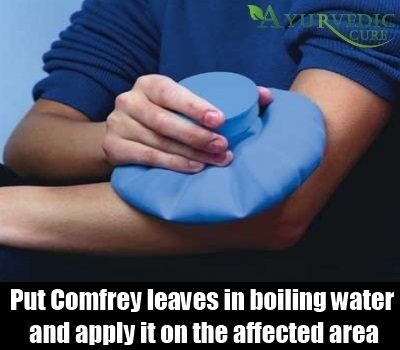 Comfort can be provided by warm compresses of comfrey. Quick growth of new cells is promoted and swelling is reduced by the components contained in comfrey. Take either 60 grams of fresh comfrey leaves or 30 grams of dried leaves and pour 2 cups of boiling water over them for making a warm herbal solution. Strain the solution after steeping it for 10 minutes. This solution doesn’t have to be taken internal and is only for topical use. Use a washcloth or gauze pad to soak into the solution and then apply it onto the bruise for 60 minutes. In case of an open wound or broken skin, it should be avoided. The bruise should be gently rubbed with St. John’s Wort oil. The oil can heal wounds easily although tea or capsule form of St. John’s Wort is usually taken for mild depression. The oil comprises of astringents called tannins, which control bleeding of the capillaries and shrink the tissues. This treatment should be immediately started after the occurrence of the bruise and should be used thrice daily for best results. The bruise should be applied with a crushed form of fresh parsley leaves. Use an elastic bandage for wrapping the area. 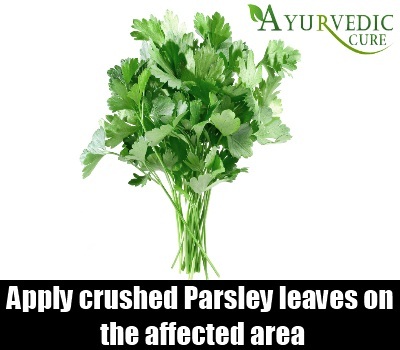 According to some experts, the bruise fades quickly and pain and inflammation is also reduced with parsley. 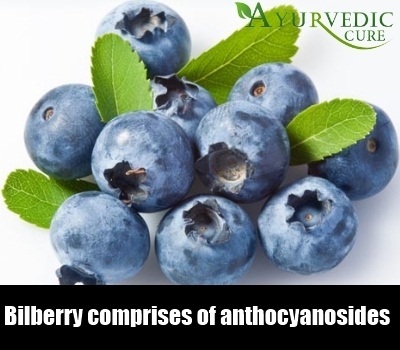 Renowned for enhancing optical health and improving vision, bilberry extract comprises of anthocyanosides. Capillaries are strengthened, collagen is stabilized, which reduces or eliminates bruising and intracellular levels of Vitamin C are increased by these powerful antioxidants. One of the oldest herbal remedies for skin issues is comfrey. A traditional home remedy used for cuts, bruises and sprains is a poultice of fresh comfrey leaves. 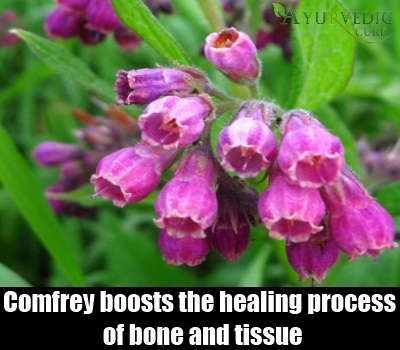 Swelling is reduced by comfrey, which boosts the healing process of bone and tissue. The high quantity of allantoin in comfrey is said to be the major reason why this herb possesses healing powers. This ingredient promotes the internal and external growth of cartilage, tissue and bone. However, there is some debate regarding the safety of excessive internal intake of comfrey. Pyrrolizidine alkaloids are compounds that are toxic to the liver and present in comfrey. Hence, it should be used externally in the form of cream or oil. Not only for cooking, cabbage has been used for medicinal purposes for generations. Chemicals that prevent cancer can be found in cabbage and it has anti-inflammatory properties. 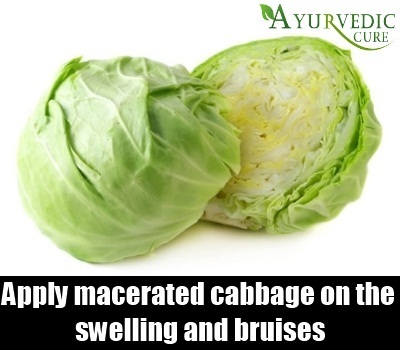 Healing is encouraged when macerated cabbage leaves are applied to swelling and bruises.